Total income for October came in at $4,805.26 which was well below "normal" for me. The majority of which, $4,490.29, came from my day job. Expenses were up about $500 compared to September although that was due to a one off expense of $722 for some maintenance on my car. Despite lower than average income and higher than average expenses we were still able to net $1,083.39 of positive cash flow for the month. 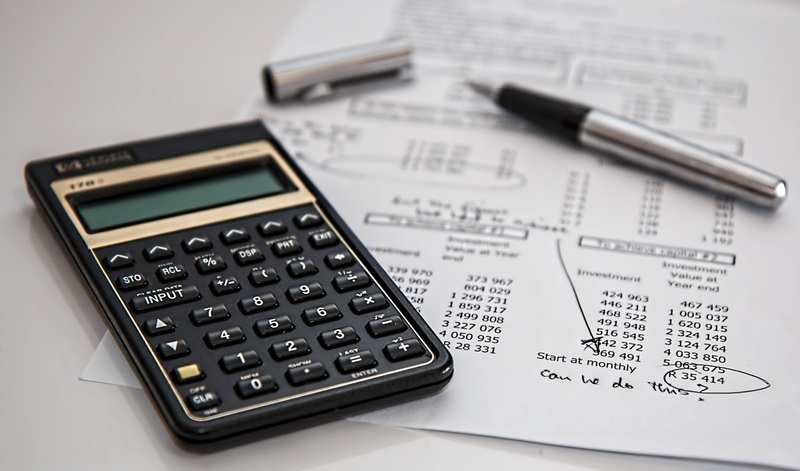 The official savings rate came to 23% based off all income sources and 17% based solely off of work income. 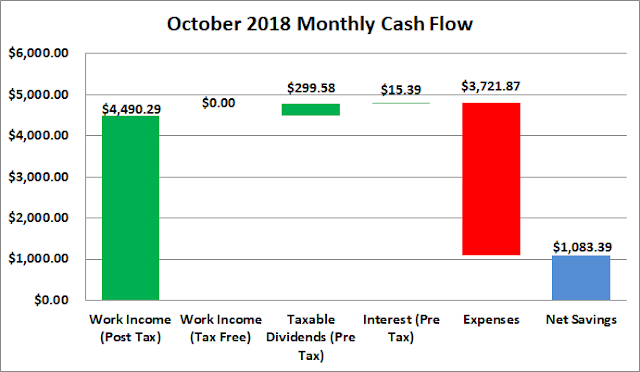 Truly passive income, dividends and interest, totaled $314.97 during October which was about a $24 increase from July. *Dividends are from my taxable accounts only. Based on October's spending the passive income for the month covered 8% of expenses. Thus far in 2018 I've totaled $5,441.96 from income outside a traditional day job. Considering the lower income and higher expenses for October I'm pretty happy with how the month turned out. Nearly $770 of positive cash flow from work income alone and over $1,080 including all income sources is a good bad month in my book.